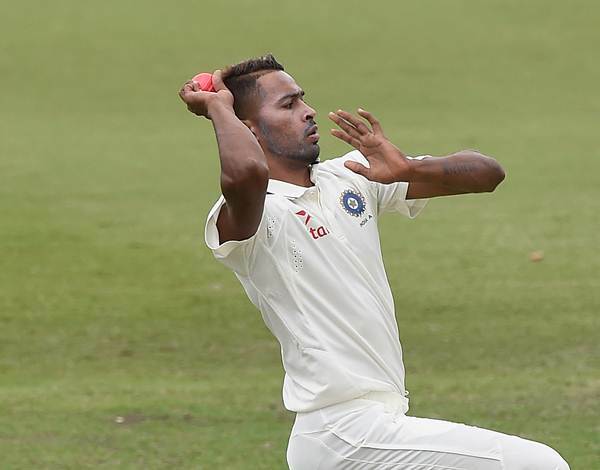 New Delhi, Nov 13: India all-rounder Hardik Pandya, who has been rested for the Test matches against Sri Lanka, on Monday said he asked for the rest because of niggles. The 24-year-old said he will use this break to improve his fitness so that he could perform to the best of his abilities during the South Africa tour. India will play three Tests, six One Day Internationals (ODI) and three Twenty20 Internationals against the Proteas. The first Test begins on January 5 in Cape Town. "To be honest, I asked for it. My body wasn't up to it, I was getting niggles because of the amount of cricket that I have played. I want to play cricket when I am totally up for it, when I can give my 100 percent," Pandya told CNN-News18. "I am lucky that I have got this break. I will train in the gym during this break and improve my fitness. I won't lie, I am really excited for South Africa series. I would like to use this break to improve my fitness for the series," he added. Pandya said he will remain positive ahead of the series and will play well. "Yes, I am really excited. People are talking about it....It's a much hyped series. I like challenges in life, they keep me going..... As you said I am the missing link in the team, who knows I might be the difference there. I am sure we are going to play very well," he said. When asked about the biggest turning point of his career, Pandya said: "My life changed when I got a chance to play for MI (Mumbai Indians) and then I never looked back. I had a small failure and that's why I learned to be even more professional. You need to understand that some things are bad. That's how you improve in life."